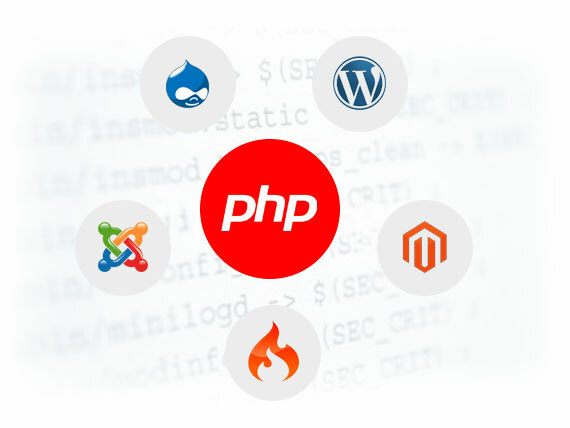 Planning To Use PHP For Your Next Project?Get in touch with us! Our development team includes more than 85 digital experts with hundreds of years of experience of web development between them. We are constantly honing our skills and our staff regularly take part in the forums, user groups and networks that make up the PHP development community. We specialise in bespoke projects that can achieve your objectives; we don’t use a cookie-cutter approach to our projects. We can provide solutions for any industry or business, including eCommerce, eLearning, media streaming, crowdfunding and more. We will provide you with a dedicated Project Manager and Account Manager to ensure that your project runs smoothly and there’s always someone ready to answer your questions. We provide support both during and after the development phase – we’ll still be here to help you if you’d like some changes several years later. We use a huge range of testing tools to ensure that your final product goes to launch free from errors. We meet stringent standards of quality by testing browser compatibility as well as undertaking functionality testing, database testing, load testing and more before launch. Your security is our priority; our developers produce all applications according to strict security guidelines and best practice to ensure that the information of both you and your customers is kept safe at all times. Custom eCommerce solutions for any industry allowing you to sell effortlessly online. Especially popular with clients in the fitness, travel, jewelry and fashion niches. Advanced technical solutions that allow for efficient streaming of both audio and video using a variety of different media players. Have your content management system set up exactly how you like it. We can provide social networking solutions, marketplaces, auction houses and many other solutions. Take your business to the next level by implementing CrowdFunding features including both marketing and payment processing features. We can create a custom and complete staffing solution to aid you with HR, your payroll management and tax. We can do this by integrating with Zen API and Hub Zone to work with your pre-existing systems. We have a particularly wealth of experience creating solutions for the fitness industry including custom interfaces and architecture hosted in the cloud or on a traditional server. We work closely with each of our clients to ensure that they are 100% involved and happy with the solutions we are providing. If you would like a consultation please click below to request a proposal and one of our team will get back to you to discuss your options and answer your questions.